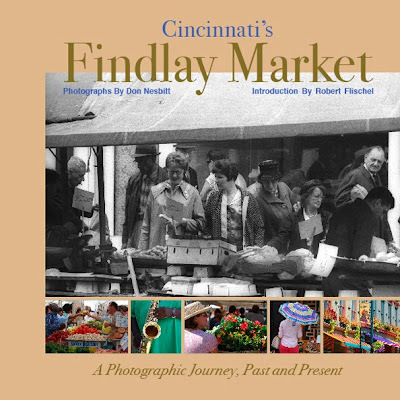 Starting this Sunday, March 22nd, Cincinnati’s Edgecliff Press will be holding a weekly book signings at Findlay Market between 1pm and 3pm. The seven-week long series will give Cincinnatians the opportunity to come to Findlay Market (GoogleMap), purchase and browse interesting books, have them signed and speak with the authors about those books. Edgecliff Press is a local publishing company that strives to create conversational, casual and thought provoking imagery that evokes emotion, cause one to pause and think. Their mission is to bring affordable books to market that tip the meter between niches of locations, themes and thoughts. The selected books are artistic in nature with many focusing in on architectural subjects. The series schedule is listed below. All signings are free and open to the public. The book signing series is part of a larger effort by Findlay Market to become an even greater cultural hub for Cincinnatians. The historic open-air market that opened in 1855 is the oldest surviving municipal market in Ohio and has been on the National Register of Historic Places since 1973.